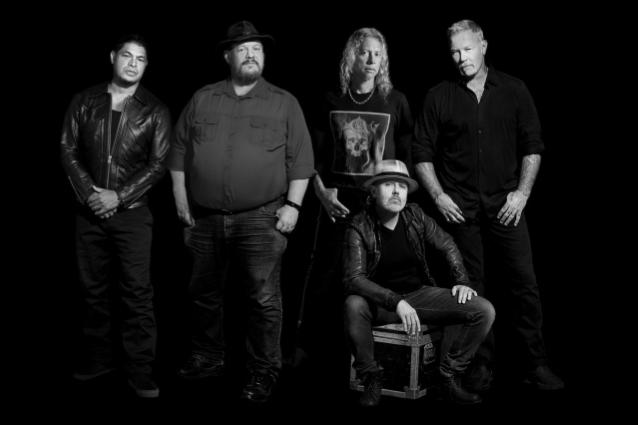 METALLICA recently announced its first-ever spirit, dubbed Blackened American Whiskey after a track on the band's 1988 album "...And Justice For All". The spirit is a blend of American bourbon, rye, and whiskey that wasn't just barrel-aged, but also sound-aged to the group's own music. Drummer Lars Ulrich told Rolling Stone about METALLICA's decision to launch its own Sweet Amber Distilling Co.: "We didn't want to just get in the business with somebody who had made whiskey and slap a METALLICA label on it. We felt it was important to be able to look our fans in the eyes and go, 'This is something that we started from the beginning and it's something that has at least, for better or worse, a METALLICA touch to it.'" 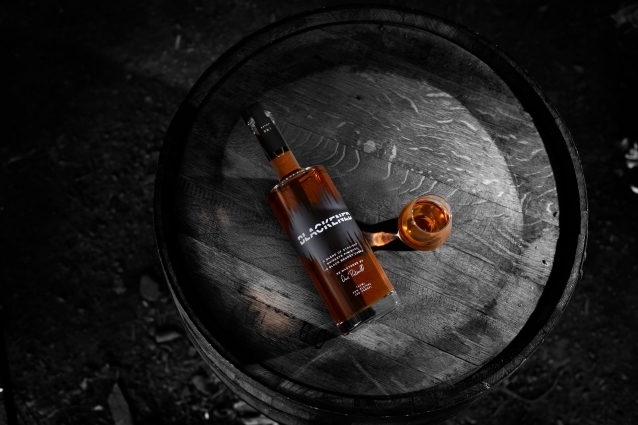 Blackened was created by acclaimed master distiller and blender Dave Pickerell, who worked at Maker's Mark before his current position at WhistlePig. 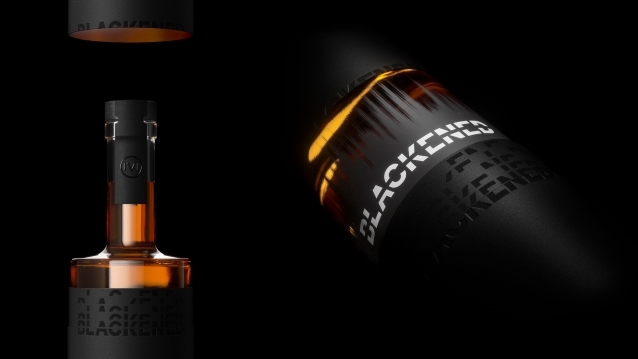 But what truly makes Blackened is "Black Noise" — billed as a patent-pending, "sonic-enhancement" process that uses METALLICA's music to help "shape the flavor" of the whiskey. Pickerell told Rolling Stone that the brandy casks contain a lot of wood chemicals. "Right near the surface is the wood caramel, so when you burn the barrel, you make char and right behind the char there's what people call the red layer," he said. "That's where the wood sugars get hot enough to caramelize but not hot enough to burn. There's a lot of caramel right underneath the char, so the thing I'm going for is pulling some extra wood caramel out. As the ligaments in the wood break down, they form six different compounds that all taste and smell like vanilla — one actually is vanilla. If you can cause the interaction between the whiskey and the wood to be enhanced by sonic vibration, you can cause the whiskey to pull extra goodies out of the wood." He explained to the magazine that he intends to "show with colorimetric data that we're impacting the color of the whiskey. As soon as we've got the patent all cleared up, we'll publish the scientific data on it." Ulrich added: "We're talking about the super subs down in the low frequencies. You know when you're driving next to somebody on the street and you hear, like, super great bass-heavy tracks coming out of the car and you can just feel it rather than hear it? That's because the subsonics actually move the air and the molecules." Sweet Amber Distilling Co. sourced the whiskey for this first release, but plans to open a distillery and brand experience in the Bay Area in 2019. Every batch of Blackened will come with an accompanying playlist at BlackenedWhiskey.com, and on major streaming platforms. Blackened is scheduled to launch this month, in time for METALLICA's current North American tour. It will be rolled out in California, Wisconsin, New York, and Florida by September 29 for a suggested retail price of $43.